Hello everyone and welcome to my stop on the Helmar Holiday Hop. 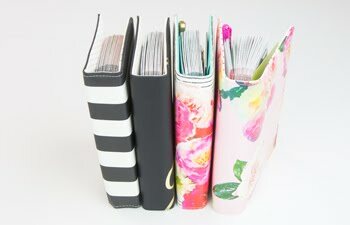 If you have been following along, you should have hopped here from Angie Blom's blog. If not, you just have to stop at the Helmar Blog and start from the beginning. There are goodies along the way and we don’t want you to miss a thing! I have a soft spot in my heart for Christmas trees. My dear sister use to decorate them professionally and taught me her secrets. Every year I look forward to the time I get the decorations out. I am always looking for unique things to add to the tree each year and this year is no exception. But, this year I wanted little handmade lovelies to adorn my tree. I will stick anything in my Christmas tree. My husband put his foot down on my sticking a vintage pinhole camera in the tree this year. ;) You can find several art pieces on the branches. I love adding some personal touches. Plus, I never get bored looking at it for an entire month! These handmade white balls can be strung on your tree, hung as garland, or individually placed carefully on a branch with pre-strung lights. I made this fun video to show you how I made them! To treat you all this holiday season, I am giving away two of my favorite things... a Red SMASH book and one 1.70 oz. 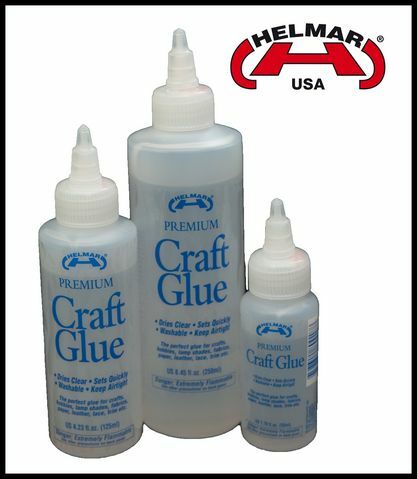 tube of Helmar's Premium Craft Glue! All you need to enter to win this prize is to post a comment and tell me what items you can find in my Christmas tree. You can also have another chance to win by following my blog, follow me OR Helmar on Facebook, Twitter, or Pintrest and comment here that you have done so. That's six chances to win! Make sure you leave a comment at every stop because the elves of Helmar will be giving away prizes to some lucky Helmar fans. Now hop on over to Linda Baldock's blog to see another amazing Helmar Holiday project. The Holiday Hop will be open for comments until 11:59 P.S.T December 4th, so take a look and enjoy a little holiday spirit from all of us on the Helmar Team. Thanks again for stopping by today and Happy Holidays. 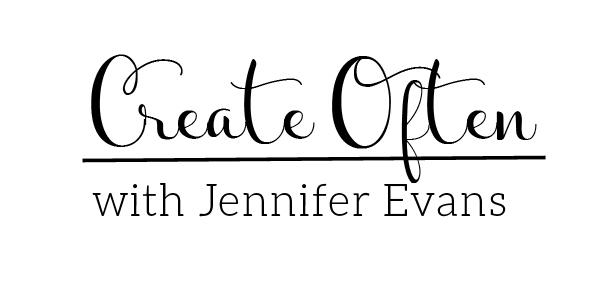 Create Well: Merry Christmas and Happy Creating! WOW what a fabulous idea love them !!! OMGosh Jen, your video made my night! I have got to get my hands on some of those hospital buckets, lol! Great project too, I am so going to try this...I think they would work great as decor for my daughter's fairy garden bedroom! Ingenious and pretty! Love the video...lent a smile to my face on this early morning. Lovely tree. I have a friend who shared some ideas, she decorated tree for a store! Oh my goodness what a gorgeous Tree!!!! Love the lights too.....fabulous! What a beautiful Christmas tree! All the details and your ornaments asare fabulous! What a creative holiday tree! I love your trees and all the beautiful ornaments!! What a stunning tree!!!! 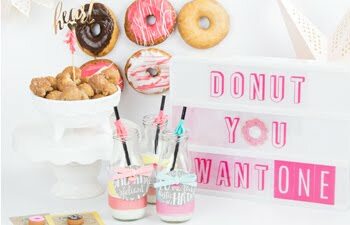 Love it and love all your homemade touches!! 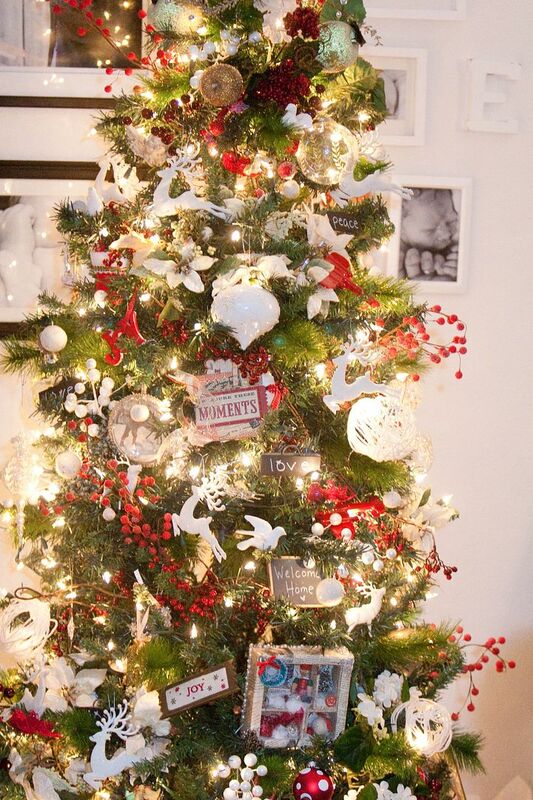 Nothing beats a tree full of handmade ornaments! Very nice! LOVE, love, LOVE your tree!!! Your ideas are brilliant. How wonderful to fill your tree with things you find beautiful...we always do the same old thing with light and garland...I think next year I'm trying something new! Love the reindeer and doves! Your tree is beautiful. A tree of homemade decorations is always very special. Great project. Your tree is stunning! I don't think that even covers it. This is just gorgeous! THanks for the great ideas and tutorial. what a beautiful tree! I have always loved the string balls, thank you for the video! Your tree is just beautiful. I love all the little goodies including the reindeer, lights, garland, doves, blackboard, ornaments, can't remember everything. :). I already follow Helmar and will begin to follow you on your blog and Pinterest, (can't wait to repin some of your ideas). Merry Christmas and thanks for sharing, especially that most entertaining video. LOVE your tree. Thanks for the vid on those cute yarn light covers. I really wanted to see the vintage pinhole camera, too! Lovely piece! I spy an MME Lost and Found title piece in your tree. :-D TFS! I "like" Helmar on facebook. Gorgeous tree! Love your ideas!! Your tree is beautiful!! Love everything about it. I'm sure it's wonderful to decorate, especially with all your beautiful pieces you add. TFS! thanks for the video! I love this idea. Okay there Miss Jen, I am officially 100% head over heels in LUV with ya. You are simply a joy, a light and an artist. Thank you thank you and THANK YOU!!!! LOVED your video - too funny! I was hoping to see you actually POP the balloons! GRIN. What a fabulous and easy and LOVELY ornament idea. And something I can involve the grandkids in! And I love the white poinsettas, doves, garland and blackboards in your tree as well! I am a HUGE Helmar fan and follow their blog AND am a facebook fan as well. And I am SO hooked on pinterest and will be checking you out there as well. I am now a follower of your blog. So very nice to meet you! Stop over to my blog sometime and give me a shout out! And Happy Holidays to you and yours!! Wow... your tree puts mine to shame... it is absolutely beautiful! I love it! TFS!! enjoyed that very much! super cute jen!!! What an easy decoration, even the kids can help. As far as the tree: reindeer, holly, little signs that I'm sure you made. Couldn't see well, but sure there are many great little treasures hiding in there! these are the coolest things ever!! Your tree is so fun - it would take a long time to take in all the stuff! I love the mini shadowbox - I think I night make one this year. I follow your blog, facebook, and Helmar's FB. Not sure about pinterest ... :) Thanks for the inspiration. Great ideas! Can't wait to watch the instructions. Dazzling tree using your ornaments! Fab tree...many years ago a tree designer taught me the secrets...it becomes a passion! Fab tutorial! Oh my goodness.. this is just FABULOUS.. I have a snowman tree and these would be so perfect!! I now have to go and get some white yarn!! love it!! you are amazing!! What a gorgeous project and fairly simple for the kids to help. I have signed up for email notification on your blog and am following Helmar on Facebook. Thanks for the inspiration. What a beautiful tree! Thanks for the great tutorial! LOVE LOVE LOVE this idea...thank you for sharing! Love the ideas!!! Thanks for sharing!! And LOVE the tree! Fun project. Is there a shadow box in the tree?? Cute! Jennifer -- this is such a fun video and a great idea! My Girl Scouts will absolutely LOVE making them, and I plan to create many for our tree this year! Many thanks for sharing this decorative ornament! Nice job on your tree! I see you have signs, deer, doves, berries, airplanes, lights and white yarn balls. Good video and looks like a great product. I am a Helmar fb follower and follower of Helmar blog. The tree is great. I saw reindeer, peace sign, love sign, airplanes, pointsettas, and baubles. Thanks for a great idea for an ornament that even kids would have a blast making. My grandmother used to make large string balls, glitter them, attach mistletoe to the bottom and call them "kissing balls". Great holiday memory! I saw photographs, birds, bows, baubles, berry branches, reindeer, lights, a shadow box, string ornaments and other handmade wonders. Awesome tree...lets see, you have...berries, airplanes, reindeer, your fun string ornaments, glittered ornaments, signs (welcome home, joy, love)...love it!! Great Christmas ornaments and such a fun video tutorial. Thanks. Ok, chickie, I'm making these this year for my tree too. Thanks for the inspiration. 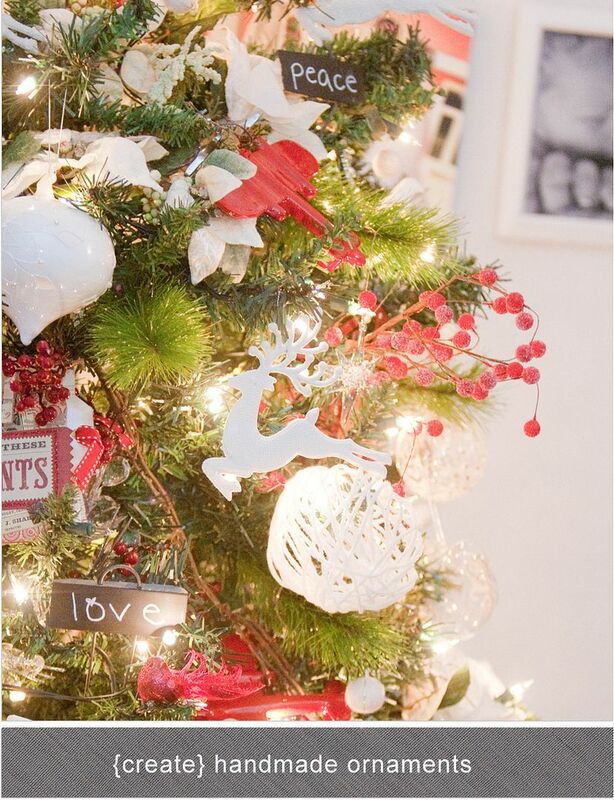 I love your red and white themed tree. Gorgeous! Great tree! thanks so much for sharing. lots of fun on your wee tree. I think I see some Winter Berries from Websters Pages. I've pinned you on PInterest too. Oh, and I love that cute little shadow box on your tree. So very cute nestled among the branches! I see deer, berries, birds, photos, love, joy, moments, chalkboards, snowflakes! Your tree is stunning! Thanks for sharing! Wow what a tree - WTG JEN !! This is awesome! Your tree looks so fun!